If the development of the last quarter of 2015 can serve as an indicator, we can eventually expect for next year some real light at the end of the tunnel. Unfortunately, Mongolia had to learn the hard way that trust and a good reputation within the public domain is hard earned but easily lost. Whether it is Mongolian citizens or international investors – in the end both were equally disenchanted and somewhat at a loss over the question why Mongolian politicians found it so hard to rally for the common cause of keeping Mongolia´s investment story alive. Chances are good that 2016 will be a turning point. For one, there is the recovery of the international copper market. Projections for 2016 done by the International Copper Study Group indicate that the market should see a small deficit of around 130,000 metric tons as demand growth outpaces production growth. This reflects changes in market conditions over the course of 2015. After all, global production cuts are starting to turn the table in favor of the supply side. Secondly, Rio Tinto announced in December 2015 that it could secure the financing for the development of its underground mine. Although the effect on the Mongolian economy won´t be immediate and certainly not as staggering as the years 2010 to 2012, the US$2.5b USD that will be invested in the country from 2016 onwards will stabilize the economy, ease tensions on the labor market and create additional employment not only with the Oyu Tolgoi company, but also with domestic suppliers of goods and services. Projections for the labor market estimate that by 2018 at least 40,000 additional technical staff will be required in Mongolia’s mineral resource sector and in the upstream and downstream industries, particularly in electrical, construction, and mechanical occupations. However, the training market is currently unable to satisfy this need – neither in terms of quality nor quantity. 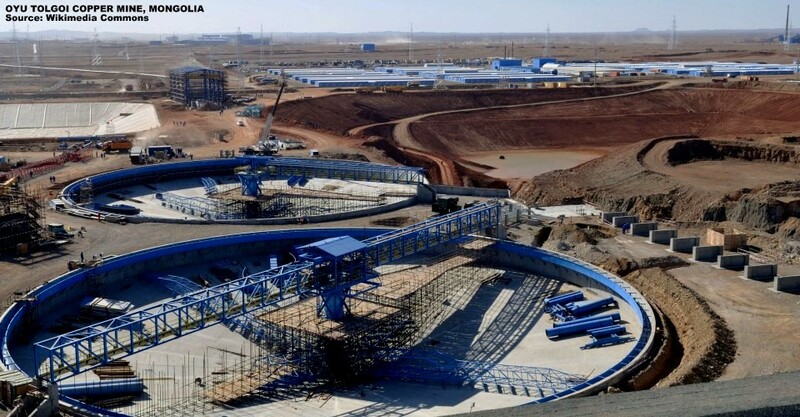 Given all the construction and industrial projects the government plans to implement, it will be of utmost importance to have Mongolian experts engineer the projects and operate the machines. But creating value within the country starts with a proper education of future generations. As some of the urgently needed foreign direct investment will return to the country, 2016 will see an improved balance of payment situation. With disputes over seized licenses settled and new exploration licenses issued, the government will continue to send a strong message that it is open for business. The inflow of foreign capital will also help to prop up the Mongolian currency, so that the Central Bank can ease its interventions on the currency market in order to keep the Mongolian Tugrik below the politically and psychologically important rate of 2000 MNT to the US Dollar. The government will continue to pay close attention to the diversification of the Mongolian economy and improved competitiveness of the agricultural and meat sector. More agreements with additional meat processing plants in export markets such as Russia and China can be expected. This will help to promote private investment for agriculture and the dairy and meat industry. More importantly, it will help to expand and diversify the labor market that, like the economy as a whole, overly depends on the mining industry. In this regard it will be also very interesting so see if and how the Chinese “New Silk Road Initiative” will be incorporated into the Mongolian economic diversification strategy. And of course, which economic potential can be unlocked in Mongolia´s western region once the new road connecting Mongolia´s Bayan Ulgii and Hovd aimags with Urumqui in China and Bysk in Russia will be completed. So, will everything be good next year? Like so often in Mongolia, the answer will wholly depend on the political process which will once again be shaped by parliamentary elections in June 2016. Much is at stake for the established political parties. Having seen 13 governments come and go within 23 years, the electorate is acutely aware of the need for political stability. So are foreign investors. The next government will be once again a coalition, hopefully born from a true spirit of national unity. The people of Mongolia deserve it, the country needs it. Dr. Stefan Hanselmann is director of the German development assistance program Integrated Mineral Resource Initiative. The program advises on sustainable social and economic development on a national as well as regional level. He works in Ulaanbaatar since 2008. His special areas of interest are development of resource-driven economies and regional economic integration.